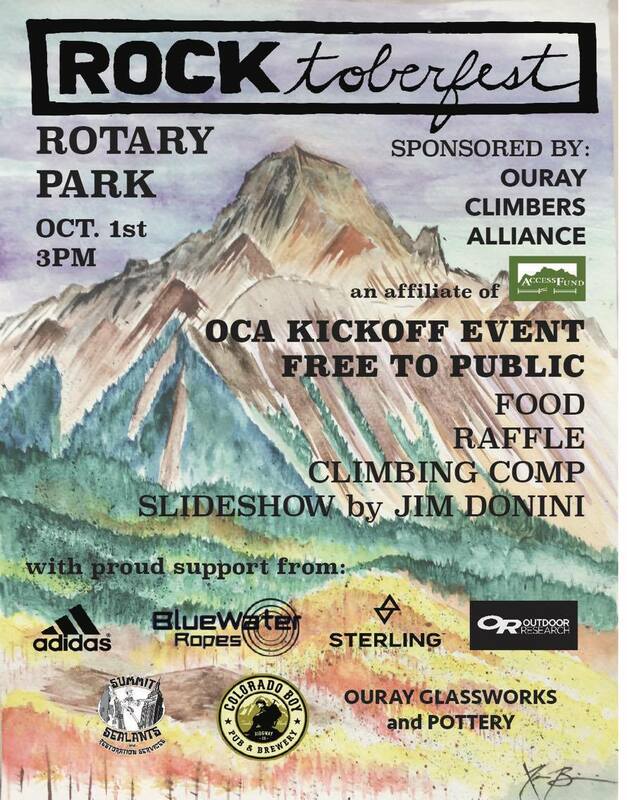 Rocktoberfest – OCA’s Kickoff Party – Ouray Climbers Alliance, Inc. Celebrate Fall with Ouray Climbers Alliance! Come learn about our local climbing organization, an affiliate of the Access Fund. Meet our members, join the team, learn about future stewardship programs around Ouray County. The event is FREE and OPEN to all. FREE Food, Raffle on great climbing gear, Climbing Contests and a Slideshow. OURAY OPEN Climbing Competition open to all ages and abilities. Climb as many routes as you can clean without falling. Win prizes. There is no entry fee for the competition. Climbers are responsible for bringing their own gear. In 1978 American rock climbers George and Jeff Lowe, Michael Kennedy and Jim Donini attempted to climb the North Ridge of Latok 1. They had to turn back 100 meters from the summit, hampered by two major storms and other difficulties. In the 38 years since, at least 27 teams of world-class climbers have followed in their footsteps. None got closer than 2,000 feet from the summit. Last August George Lowe and Jim Donini went back to Latok—this time with Thom Englebach and Thomas Huber and his German partners, hoping to reach the pinnacle.